A working definition of propaganda is the spreading of ideas, information, or rumour for the purpose of helping or injuring an institution, a cause, or a person. While propaganda has been around for almost a thousand years, only recently (last 100 years) with the advent of technologies that allow us to spread information to a mass group has it evolved to a scientific process capable of influencing a whole nation of people? While propaganda is most evident in times of war, it is constantly being used as a political and social means in even less obvious ways to influence people’s attitudes. This is currently evident with all the election commercials on TV, where the candidates are using propaganda techniques to elevate themselves above their competitor. Another place propaganda is being exploited is by the use of the media in its portrayal of countries that have nuclear technology. Modern propaganda uses all the media available to spread its message, including: press, radio, television, film, computers fax machines, posters, meetings, door-to-door canvassing, handbills, buttons, billboards, speeches, flags, street names, monuments, coins, stamps, books, plays, comic strips, poetry, music, sporting events, cultural events, company reports, libraries, and awards and prizes. source New York times February 14 1960:1 Recall that on the 23 of November 2018 the Indigenous People Of Biafra (IPOB) volunteers intelligence rallied all over Biafra land singing and chanting No Referendum No Election ahead of the fort coming 2019 general election the protest was peaceful, the video is online, no weapons, armed with only the truth, Biafra flags, hand bill with inscriptions like "No Referendum No Election" singing and dancing preaching the gospel of truth. 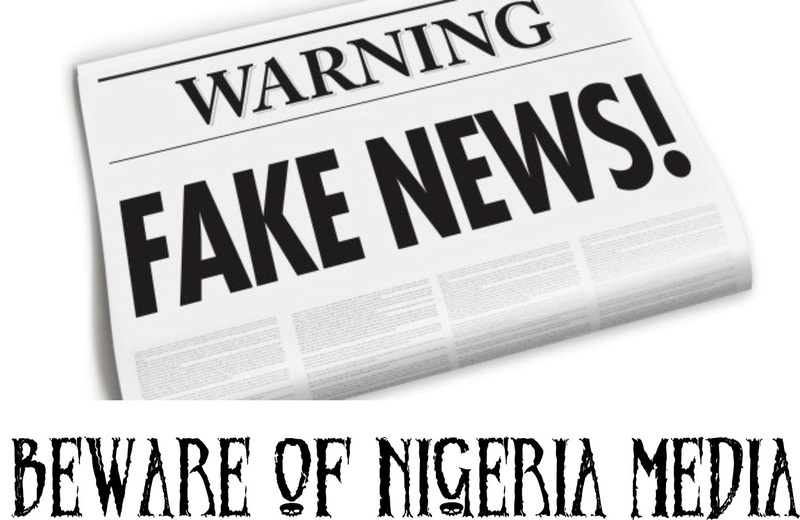 The first propaganda the Nigerian media aired was that IPOB killed a police officer, and the same police inspector stood up and walked away, anybody who knows the Nigerian police know that they are all smokers and always drunk. An inspector drank to stupor and fall in the sewage at Nnewi the Nigerian media always in its bid to get a name to dangle the Indigenous People with the fake news that IPOB killed a police inspector, this time around it was not alleged, but when they kill IPOB its alleged, do you see the cheap propaganda tools the media has turned into, giving the world the impression that IPOB is a terrorist organization. As if that was not enough on 24th of November, a day after the rally, these same Nigerian police went to Nkwo Nnewi and arrested traders in their shops and tagged them IPOB members alleging that they were seen with dangerous weapons during the rally, these are traders none of them where seen with even Biafran flags, no weapon whatsoever was seen with them. Part of the allegations that they actually killed 4 police officers, the officers names are withheld, no corpses shown as evidence that 4 police men were actually killed, as I write now Nkwo Nnewi is shut down for a 3 days sit at home protest until their fellow traders are released, it’s unfortunate that when a man is defeated by reason he sought to discharge his frustration on injustice, the arrested Nnewi traders are all prisoners of conscience and I am sure the world still have conscience. IPOB march all over the world, there was never an incidence anywhere in the world where we break the law governing that country during our rally we are always peaceful but demanding attention within the confinement of the law of that country where we protest, give us reasons why Nigeria is better than Biafra, give us a superior reason why we should scrapyard Biafra and stay in Nigeria rather than resort to cheap propaganda, it will only motivate us to keep fighting, we are not terrorist and can never be, we are indigenous people calling for a referendum to determine our exit from Nigeria and that we must achieve our aim whether our adversaries like it or not Biafra must come.